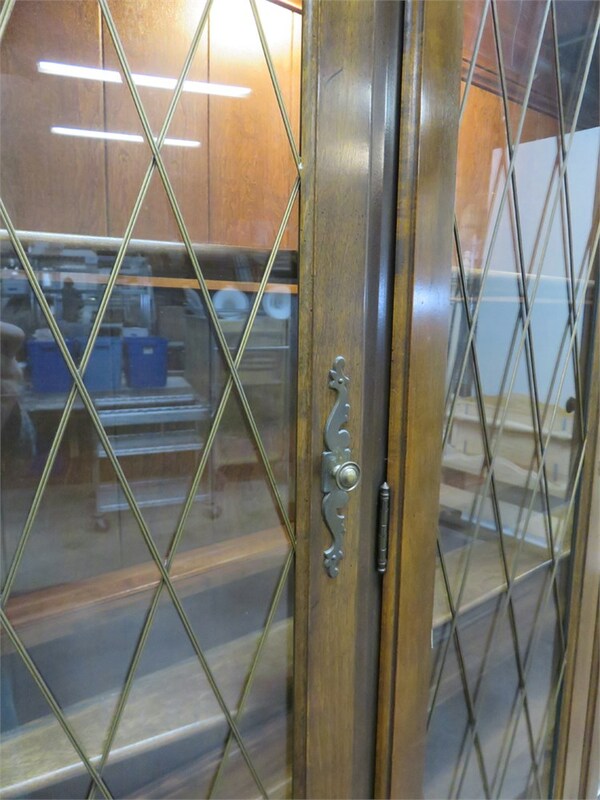 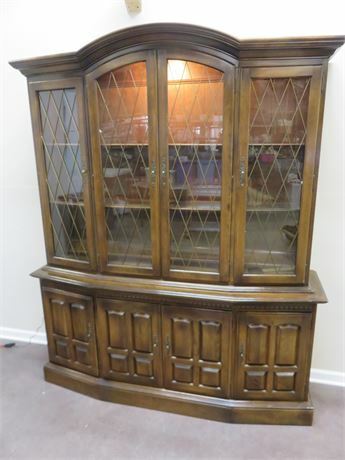 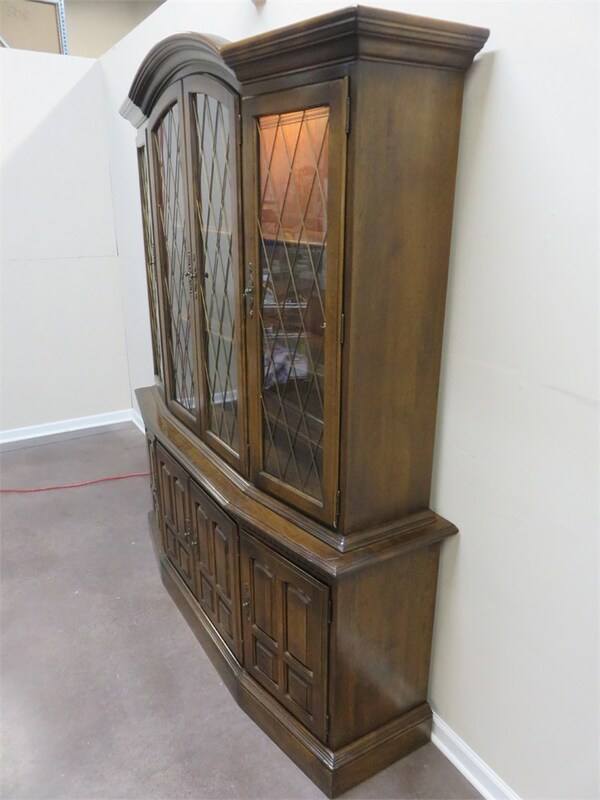 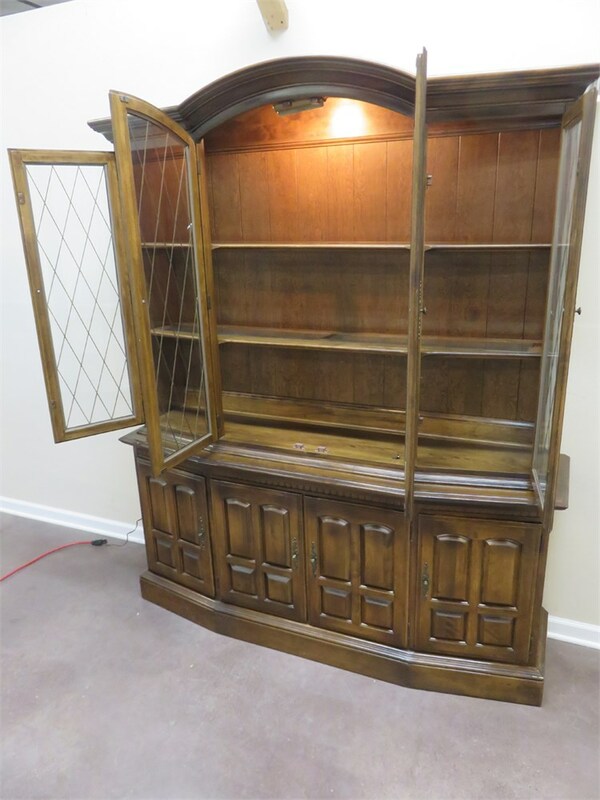 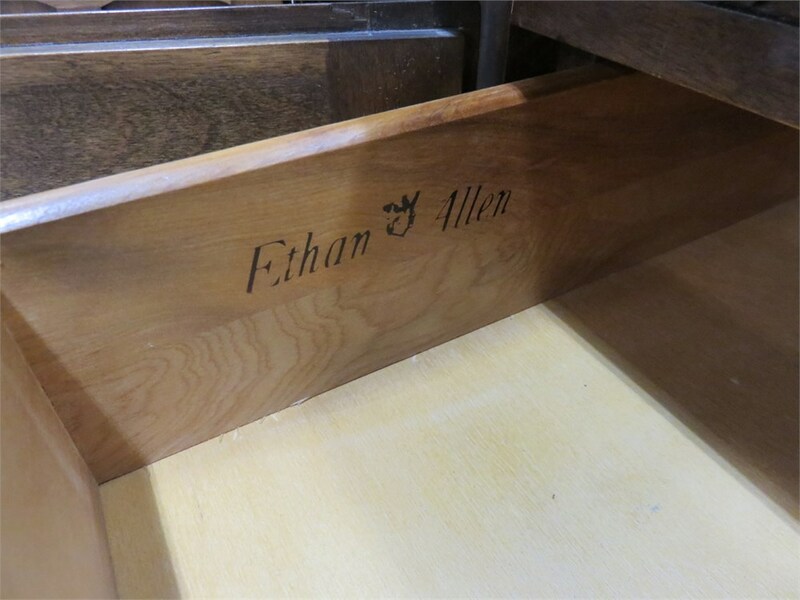 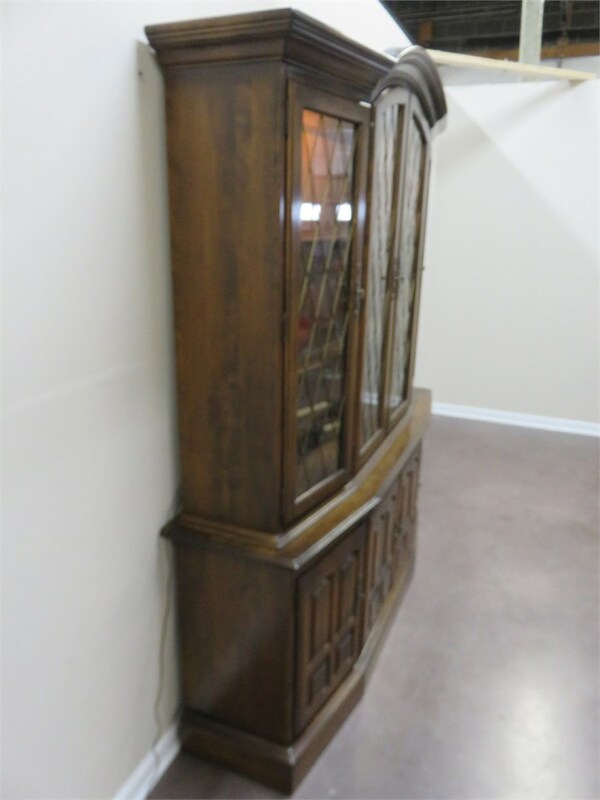 A beautiful 2-piece lighted china hutch from Ethan Allen Furniture. 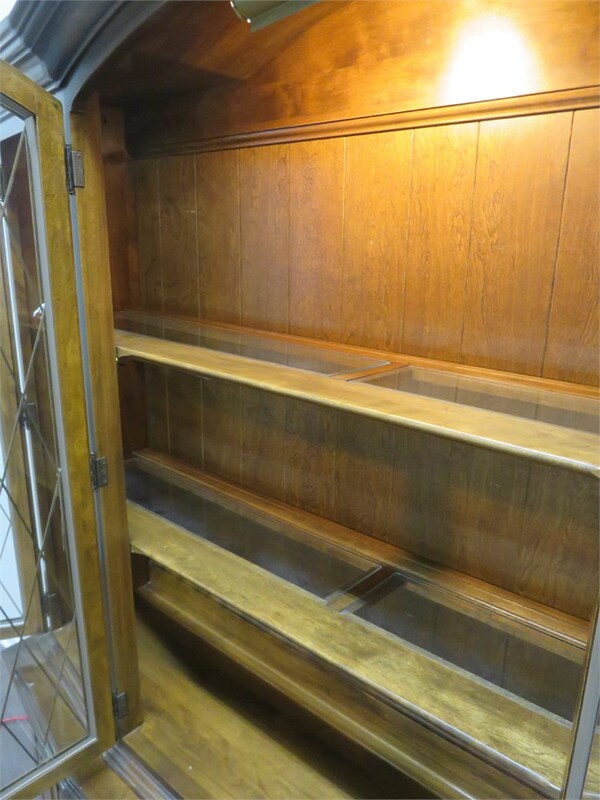 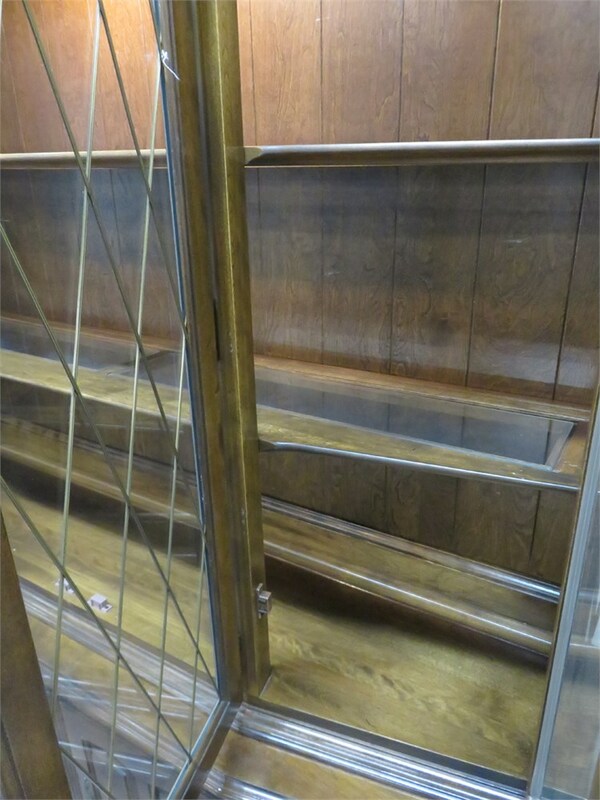 Features 3 upper doors with grid pattern glass panes and 2 shelves. 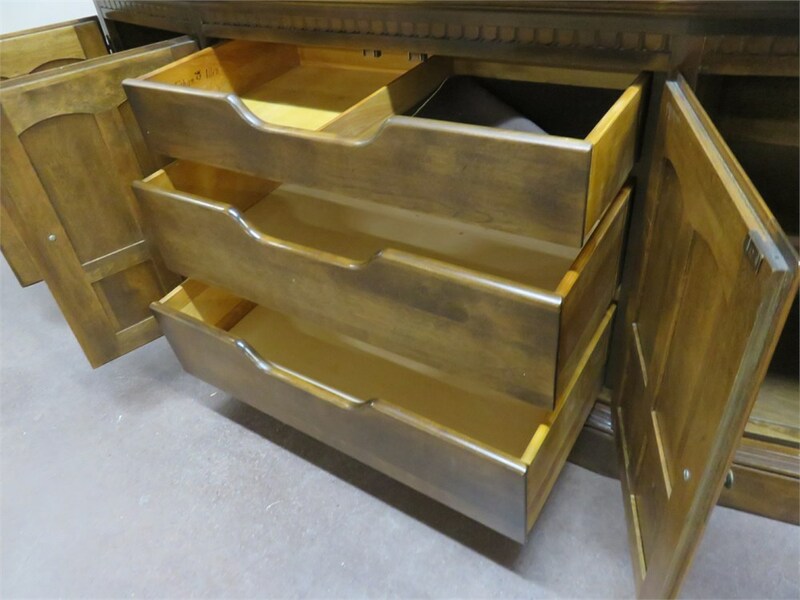 Lower section has 3 drawers and plenty of storage space. 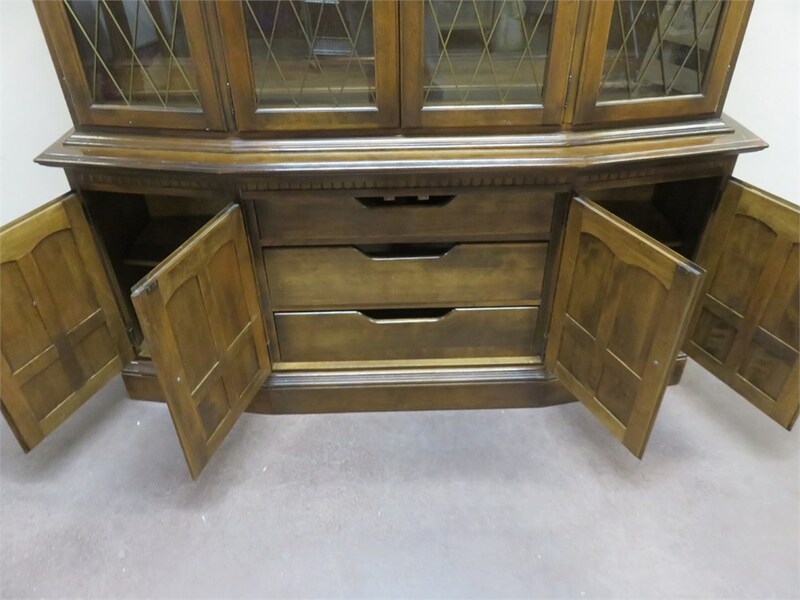 A matching dining room table is listed in lot #18.